Recently in Las Vegas, technology companies from all around the world gathered to garner in a new era of consumer technology during the Consumer Electronics Show (CES). 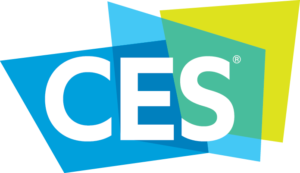 For those who may not be aware, CES is an annual technology trade show where companies across the world come and show off their latest and greatest. 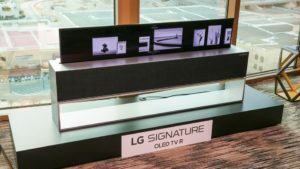 This year, brands such as Samsung, LG, Intel, and Nvidia (among many, many others) took to the show floor to show off some of their newest gadgets. In the show, we got a glimpse into the future, with plenty of innovative and exciting new tech revealed. Below I will give you all the details on the hottest announcements from this year’s show. 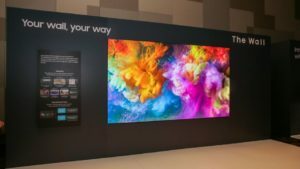 Display technology is only one of the many trends saw this year at CES. Some of the other trends shown off this year included artificial intelligence, 5G, even more Smart Home devices, and autonomous vehicles (including prototypes for a fully-autonomous 18-wheeler). As is the case with a lot of brand new technology, we will have to wait and see how practical some of these types of new tech become as they are rolled out. Regardless, it is certainly an exciting time to be interested in tech, especially here in Columbus, as projects such as Smart Columbus could utilize some of these new technologies very soon.